Not everyone can take a photograph, or create a graphic image like a professional, so that’s why I’ve put together an ultimate list of free stock photos and free images. It’s quite fine if you have little talent in the artsy department. However, it’s not fine when you take an image and not give credit. Sure, for those who blog or create content, you would like to snag images on the fly, but tracking down the original artist is a pain. There are a lot of stock photos and image sites that require you to give credit where it’s due. However, there are many others that you are more than welcome to use their photographs or images, without credit. The list of websites that offer free stock photos and free images allow you to freely take and use what they offer. Some of them also allow you to alter the image if you need to. Please make sure to read the licensing. Some may require at least attribution somewhere, but allow you to edit and use the images. The websites below are listed in no particular order. Unlike other lists of this type, I’ve decided to cut out screencaptures and extra images as this list is long. Please note that this list will grow, and can be edited at any time. Unsplash has a lot of stock photos that can be used however you wish. Yes, however you wish. This is because of their licensing, which is set to allow you to copy, re-distribute, and edit however you wish. You can receive updates by subscribing to their list. Pexels has an interesting name… between pixels and vexels. However, this site gives away 35 new stock photos each week that have been curated from several high quality resources. Negative Space offers a lot of free stock photos. They add about 20 new ones each week. These are great for social share images in blog posts. Sometimes I use stock photos, sometimes I create my own. These images are totally free for you to use and actually fit perfectly in Facebook, Google+, and Twitter. Hubspot has put together a resource section just for you to be able to grab some free stock photos. Fancy Crave just asks that you never claim the stock photos as your own, and then you can use them to your heart’s delight. Death to the Stock Photo gives out free stock photos every month. Pixelbay has hundreds of thousands of free images. Picjumbo allows you to use their free images for both commercial and personal use. Kaboompics has lots of high quality free stock images with a variety spanning from fashion to landscapes. At Lock & Stock, if you sign up for the weekly email list, you will receive new photos. StockSnap.io issues tons of different and high quality free stock photos every week. ISO Republic shares images that are useful for bloggers and designer alike. Startup Stock Photos has some images geared to professionals. All images can be used for personal and commercial use at Life of Pix. SplitShire has a lot of variety in photos for you to snag. Gratistography is another Creative Commons Zero resource where you can copy, edit, and re-distribute their stock photos. New Old Stock curates images from Flickr Commons’ public archive. All of these images have been added because they’ve been vetted as not having any copyright restrictions. Jay shared 7 new photos every week. The New York Public library released hundreds of thousands of photos under public domain, so its free to use and free to share. Please make sure to take note of the licensing as their collection is vast, and while their public domain collection is nearly 200,000 items, you may run into other copyrighted material. So, pay attention as you go through them. Note: If you have a free stock photo resource that is not listed, please leave a comment below, and I’ll take a look at it. If your free stock photos don’t require attribution, and allow people to use them for free and personal use, then I will add them to this list. Do you like and use free stock photos? Is your site listed above? Tell us why you like your favorite free stock photo or free images site? That’s great, useful list. Thanks for sharing this with us. Amazing really useful post and am daily using different online photo editors but your are sharing awesome collection…thanks for sharing & kindly check one by one.Keep updating us. I needed this post. I usually use iStockPhoto and those images cost me a small fortune. On a side note am I the only one that writes a post in 30 minutes but then spends 2 hours trying to find the right image? Thanks for sharing 60 different websites that offer free stock photos and free images. In fact this post is really very useful for bloggers with the help of it they can save their precious time and choose some quality images. That’s a huge list…Thank you providing such useful Information. This is awesome! I am bookmarking this for later because I am always looking for images and can’t always find what I need on the few sites I usually use. There is a lot of Importance of Images in blogging and as a blogger I am always in search for good images to collect for my blog. Thanks to you for listing all such great websites to getting images for my blog that for free. Ps: You collection of HD pics is just awesome. Thanks for that. This is such a fantastic resource! There have been so many times when a stock photo would have been perfect and far less time consuming than going out and getting my own shot. Hi Nile, and thank you for this awesome post. This post is really useful for me. I have used iStockPhoto for a while, but with this post I may save some money. Pixelbay is my favorite. I have use that one over and over and over again. I did not realize there were this many other sites that also give you free stock photos I’m going to be checking those out. Oh wow, I didn’t realize there were so many places to get free stock photos. I’ll have to check these out so I bookmarked your post for future use. Unsplash is my absolute fave!! I need to check these other sources for great stock photos!! I usually use my own photos in my blog posts, but I do appreciate all the information you have provided. It would really come in handy when the need arises! Wow! What a list! I checked a website before for free stock photos, but they didn’t have the photos that I needed. Now I have a lot of sites to check. Thank you! Excellent list of places to find great images. 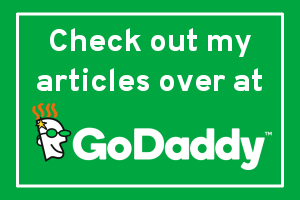 Pixabay.com is the one I use most often, as I love all of their images and they keep adding more and more new ones all the time. awesome post. it is very important to use free images in our blogs so i always use pixabay images in my every post and today i found some great website to use their images in my blogs. What an amazing list! Thank you for sharing! Bookmarking this right now. Am reading your Site after two weeks. And find it very informative for myself. As i am using a tech site, I use to copy a image from the official site then edit it and insert in the post article. After doing this i’ll give credits to the official site who owns the image. Am i doing right and is this advisable? 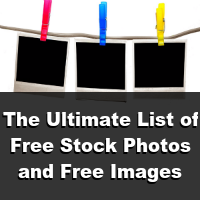 Thank you so much for this list of free stock photo sites. I include a lot of image in each of my blog posts. This list is a big ticket item for me. I already have it downloaded and saved to my desktop! Nice list of photo stocks .These website are important for me. Thanks for list you have really odne bets job for us. This was a good list. Lots of goodies here. Thx for that. That’s a massive list. I do struggle to find good images for my blog posts and this post is a great solution to my problem. Check us out on http://www.rawpixel.com. I’ll be happy to add you to the list. Nile thank you for this list. I love using great pictures on my blog but the cost to get them was becoming too much. Your resources I have bookmarked and also this post. 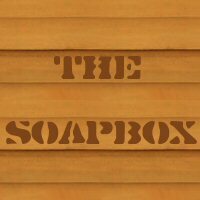 Awesome resource you have provided. Thanks again. Hello Nile Flores mam, Thank you for sharing this list. As I am new to the blogging I want more websites to download more images. This will help me a lot. Thank you for sharing this list. Thanks for the list, it’s awesome. I usually just use http://www.stockvault.net as it has CC0 and mixed licenses. Thanks for this comprehensive list. For all of us who want photos and need them for our webpages, having a resource like this helps.